The first regular service railroad in the United States was provided by the Baltimore & Ohio Railroad. The first 13 miles of the railroad between Baltimore and Elicott Mill Maryland was opened on May 24th , 1828. Initially the B&O was powered by horses. 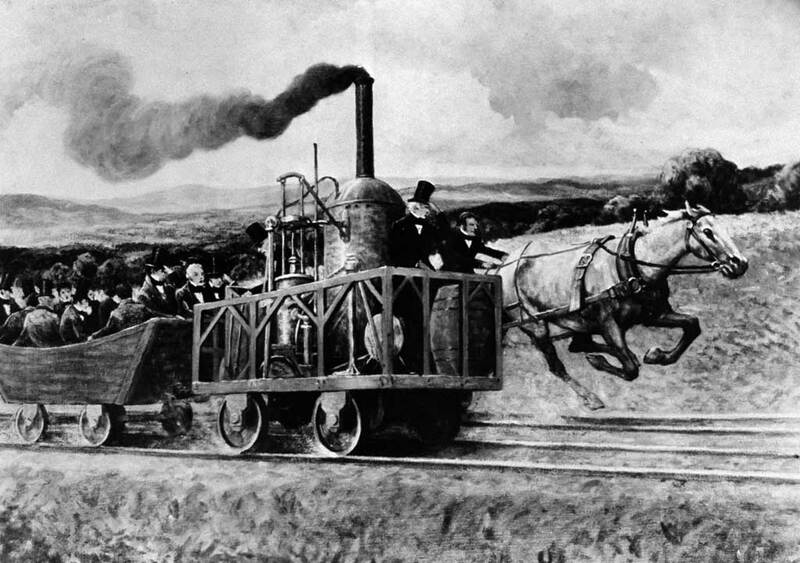 In 1829 the B&O experimented with its first steam engine- the Tom Thumb.
" Today's experiment must, I think establish beyond a doubt the practicality of using locomotive steam power on the Baltimore and Ohio Railroad for the conveyance of passengers and goods at such speeds and with such safety as will be perfectly satisfactory to all parties concerned and with such economy as must be highly flattering to the interest of the company. A few weeks later the Tom Thumb became engaged in its famous race with a horse drawn carriage. Although the Tom Thumb eventually lost due to a broken belt, it proved the advantage of steam over the horse.